Join us on a tour! We will visit three mosques and discuss interfaith commonalities. 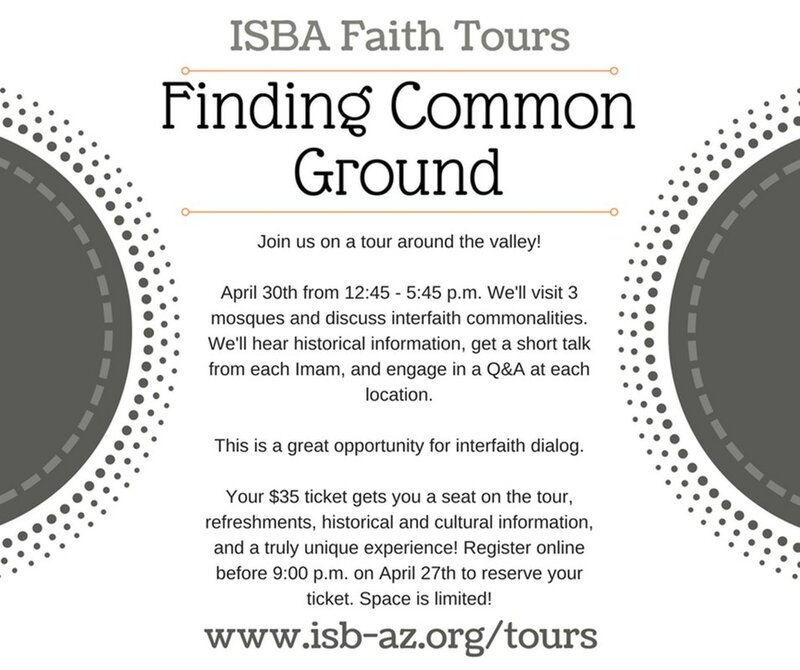 We will hear historical information, get a short talke from each Imam and engge in an Q&A at each location.